USANA Australia is super excited to share this news with you all! 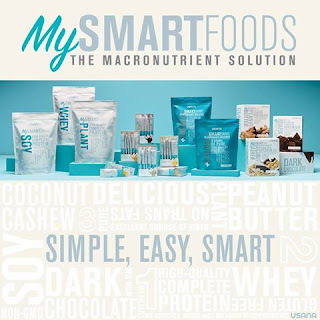 Just announced at International Convention our amazing new MySmart™ Foods will be coming to Australia soon! And these are no ordinary foods products - the MySmart™ Shakes and MySmart™ Bars are the SMART choice for your health. They have simple, naturally derived ingredients—the kind you can actually pronounce. And these ingredients create a beneficial balance of macronutrients—carbohydrates, proteins, and healthy fats—without any added sugar. When you throw in the three awesome MySmartBars—Coconut Cashew, Dark Chocolate, and Peanut Butter—you have a customisable force for your health. For more information about MySmartFoods. Go to The Hub (login required) to read stories about the shakes, bars and a Q&A with a USANA scientist. And make sure to check out our Facebook for more from #USANA15. We’re just getting started here in Salt Lake City!